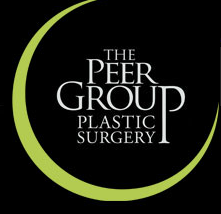 Peer Group for Plastic Surgery - The Peer Group for Plastic Surgery has a team of award-winning, board-certified plastic surgeons who specialize in cosmetic procedures for the breasts, face, and body. One of the oldest and most respected practices for plastic surgery and non-invasive aesthetic procedures in the area, the Peer Group for Plastic Surgery has a team of award-winning, board-certified plastic surgeons. The doctors specialize in a full spectrum of plastic, cosmetic, and skin care procedures, including reconstructive surgery. Popular procedures include breast augmentation, liposuction and tummy tuck surgery, in addition to non-surgical options like Botox Cosmetic and CoolSculpting. Please Peer Group for Plastic Surgery online today for more detailed information. Dr. Parker, Paramus plastic surgeon, and his staff utilize state-of-the-art surgical and non surgical techniques to deliver high quality, natural looking results. Colen MD Plastic Surgery is a family of plastic surgeons based in New York City and Hackensack, New Jersey.